With over a billion active users and counting, the hype around Instagram is definitely REAL. If you’re an entrepreneur looking to put yourself or your business out there, now is the perfect time to reap the benefits on the platform’s current boom! 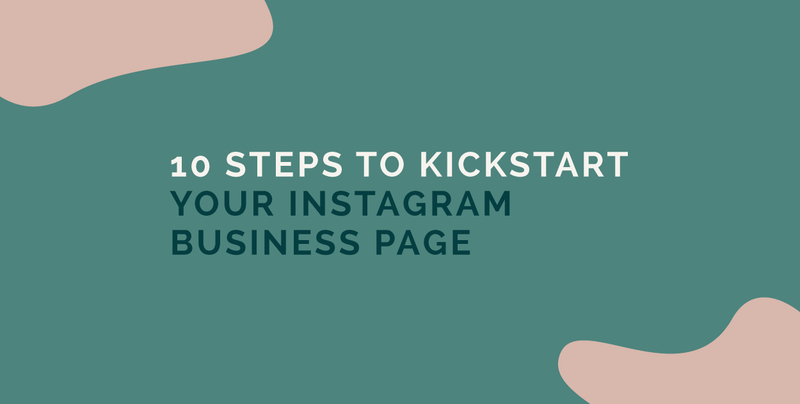 We have put together a few valuable tips to kickstart your Instagram Business Page. This is by far one of the most important components of your Instagram Business profile. • A relevant bio link that links to your website or promotion, we recommend using www.bitly.com to shorten your link (looks more profesh). This is a biggie if you want to enhance your following and boost your engagement. The great thing about stories is that there is no expectation for them to be perfect. With endless features such as the good old ‘Giphy’, you can put together a fantastic story in no time. The more creative you get, the better as this adds a real dimension of brand personality to your profile. Instagram is all about compelling visual content. Although stories have taken the limelight, the demand for video content is as strong as the cup of coffee I gobbled up this morning. Thankfully apps like Boomerang and Hyperlapse assist in super straightforward video editing that is both compelling and easy to share directly from your mobile. Bear in mind that there are prime times to post content on the Instagram platform. A great way to test this out for your profile specifically is by posting at different (suggested times) in a day and then evaluating which times your audience engage with most. Follow the Sprout Social guide for suggested posting times. Captions serve as an opportunity to show off your creative writing abilities as well as encourage engagement. Here are some ways that you can drive your followers to take action from your posts. The purpose of a hashtag is to make your post searchable and also a great way to connect with your audience. Search for relevant hashtags in your industry here, we suggest between 10-20 trending hashtags that will boost your engagement. By searching and following relevant hashtags directly from the Instagram search bar, you get to connect with users that share the same interests. Hello, new Instagram followers! With the help of a branded hashtag, you can encourage fans to post user-generated content that you can easily repost. Free content? Yes, please. UGC is a great way to boost your engagement, by harnessing and showcasing this type of content, brands are able to connect with customers in a more authentic manner which builds consumer trust and ultimately drives sales. The repost app makes it easy to repost content correctly directly at the push of a button. Replying to inquiries from your followers is not only good customer service but also pushes your engagement as you go back and forth on the platform. The demand for more human-centric posts rather than pushing products and promotions has escalated. Focus on telling a story through your content as this is far more relatable on a human scale. After all, this is social media and the point is well, to be SOCIAL so don’t lose that relatable touch to your feed, or else you’ll be losing followers, eep. In order to look at your Instagram presence in a more holistic way, we encourage putting together a content calendar. A planned content calendar assists in depicting exactly what and when you will be posting on your platform. This is a huge time saver! Focus on a variety of different content types such as product and customer photos, text overlays, memes, and video content. Ensure that you are looking into your Instagram analytics at the end of each month to assess how well your content is performing. This will provide useful insight into your content strategy and ways that you can improve moving forward. Instagram has a built-in insights tab that you can access directly from your mobile at any given time. 1. Go to your Business Profile. 4. Select specific posts, stories or promotions you’d like to view insights on. You can also learn more about your audience (bonus).